Join professional and amateur photographers worldwide who have have easily mastered green screen photography thanks to the best-selling green screen software, Green Screen Wizard. Whether your goal is to have fun with the kids or expand your photography business, Green Screen Wizard has professional software for every budget and need. While others claim to be the best we say put it to the test, try our free demos. Our standalone green screen software is our most popular software and does not require Photoshop to run. Over 25,000 users have enjoyed its simple to use user interface with a built in help system. Our green screen engine and our advanced special effects are second to none. We sell three versions of the software to fit your budget and need. 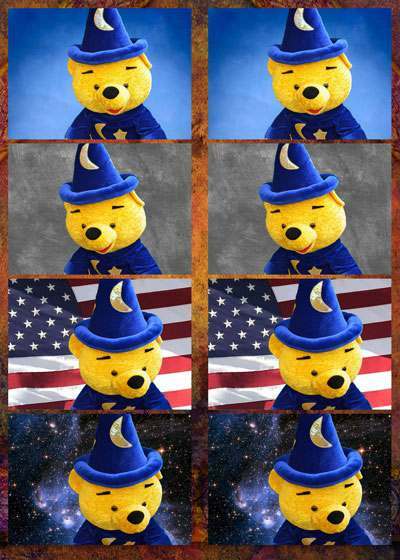 Green Screen Wizard is powerful green screen photo software that is inexpensive and simple to use. The Full version has the same Green Screen removal engine as the more expensive products but lacks the Airbrush Editor, Special Effects, Work flow Enhancements ,Batch and Event capabilities of the more expensive software. The Pro Studio Editor version adds pro features to the full version that can provide professional photographers a platform for doing business. Green Screen Wizard's Airbrush Editor is a built-in Editor that uses special "Green Screen Aware" brushes to correct even the most difficult green screen problems and can bring out wispy hair details in the image. Green Screen Wizard's special effects makes adding reflections, lighting effects, skin smoothing, and creating artistic images a breeze. With the new Lightroom Link, Lightroom uses can now easily use all the Wizards features. The Pro Batch version expands on Green Screen Wizard Pro by adding automation to the green screen software process. This is particularly valuable if you shoot many photos and would like to process them later or if you're at an event and need to process images very quickly. The Pro batch version also adds an e-mail capability so that rather than printing the images out the images can be e-mailed to your clients. Make your next party a hit by adding our $99 webcam version to any laptop with a webcam. Want to make money with the software? 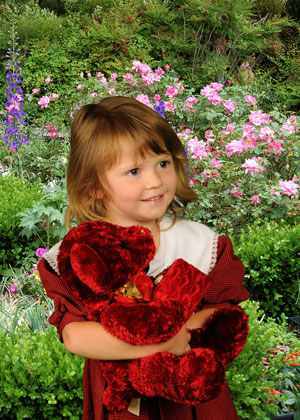 You can create open air photo booths for Events or Wedding with the high quality DLSR versions. If you are handy, you can even create an enclosed photo booth and rent it to others for a new stream of income. A Photo Booth is an automated photography system that lets a user start a photo session that can take one or more images with live view image preview. The live view preview shows the person on the background chosen and even supports Sandwich Overlays. The system can create multiple images on a single output or a simple single image output that can be printed, emailed or texted to your phone. Eaily setup an open photo booth at your kids next party. Make money at weddings and other events. 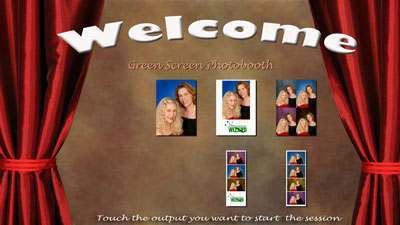 Normally a Photo Booth Software is operated by the user. At events where you want people to move though quickly or if your are photographing kids or pets, then you can fire the camera from a button on the screen or with a remote clicker. For those of you on a budget we offer a Webcam only version. This system offers support for Webcams and select Nikon and Canon DSLRs. Buying this Photo Booth software is like buying two programs. 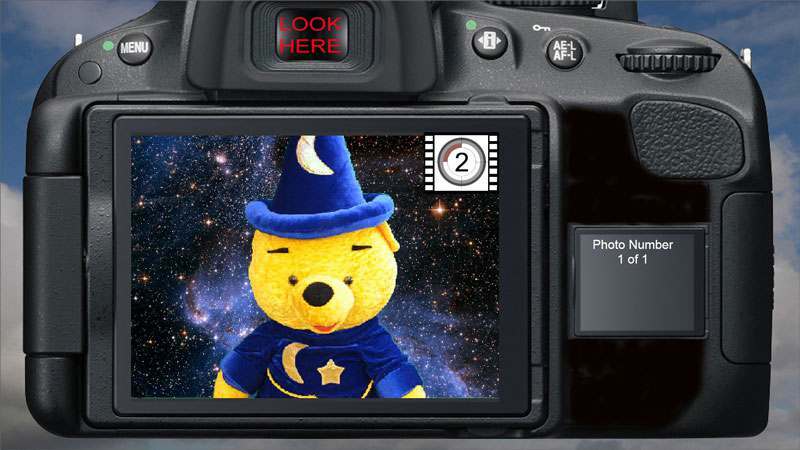 You get all the capabilities of Green Screen Wizard Pro and you also get a programmable DSLR Photo Booth system. Our products are 100%, no questions asked, guaranteed for 60 days. Use the powerful green screen removal engine inside of Photoshop. Lightroom users can use this free link to add green screen wizard as an image editor to Lightroom. While designed to be used with the photobooth, this image sharing system can be used with any image folder on the PC with an iPhone/iPad. While our software can use any background, it is time consuming to try to find them. Here are some well organized collections of background images and overlays. A simple introduction to Green Screen Photography Software. This webpage will help you choose the best green screen software for you. Learn all that amazing things you can do with Green Screen Wizard. Here are some tips for when your are ready to turn your photo hobby into a money making enterprise. Kids love to dress up and pretend. 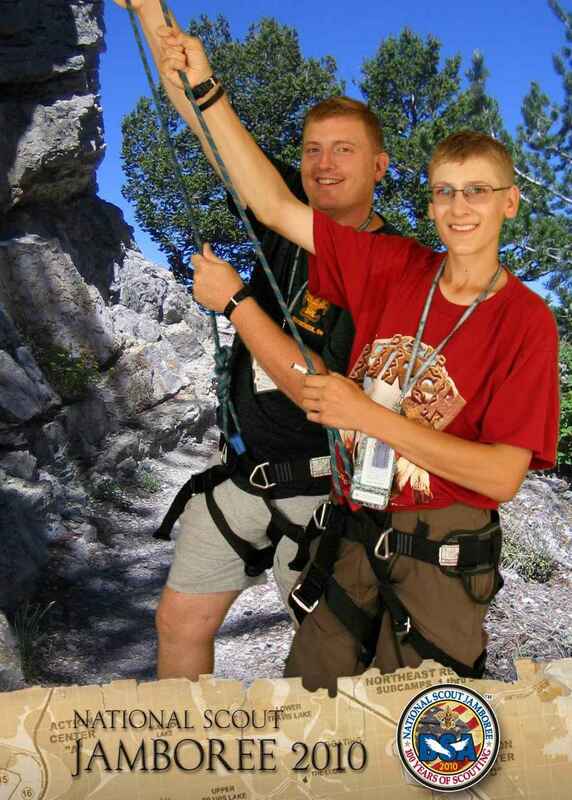 Here are some fun ways to use green screen to make them smile! What better way to reinforce a learning concept that to take a photo of the child and then put them in situation just learned. Also kids love to use the product to express their own creativity. You will need a camera, a green screen backdrop, and if you do not want to shoot outdoors, some lighting equipment. Know the difference between strobe and continuous lighting. Explore light modification devices. Learn to eliminate shadows on the background.